Hello!! 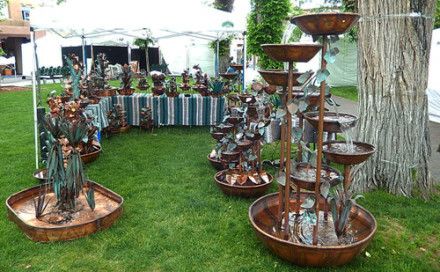 Hand Made Copper Water Fountains fans. The weekend of June 13 and 14 I will be showing my fountains in Santa Fe, New Mexico at the plaza downtown. My booth is located near the center of the plaza just south of the monument. Have a very nice location and was able to spread out. Below is a photo of my booth. My next art show will be in Flagstaff, AZ in Wheeler Park next to city hall on July 4th weekend.